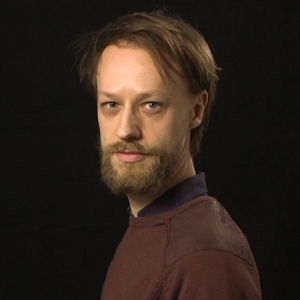 Philip De Man is currently working as project manager at the Leuven Centre for Global Governance Studies. He obtained his PhD in international law at the University of Leuven in 2015. His research activities touch on various issues of European and international law, including international space law, international criminal law, the law of international organizations and the relationship between trade, investment, human rights and sustainable development. Prior employments include positions as case manager at the International Criminal Tribunal for the former Yugoslavia and adviser to the Permanent Representation of Belgium to the United Nations. “The long and winding road of international investment agreements: toward a coherent framework for reconciling the interests of developed and developing countries?”, 3 Human Rights & International Legal Discourse 2009, 263-300 [with J. WOUTERS and L. CHANET]. “EC law and residence of companies”, in G. MAISTO (ed. ), Residence of companies under tax treaties and EC Law, EC and International Tax Law Series, Amsterdam, International Bureau of Fiscal Documentation, 2009, 61-92 [with J. WOUTERS]. Case note to European Court of Justice, International Association of Independent Tanker Owners (Intertanko) Case C-308/06, 103 American Journal of International Law 2009, 555-560 [with J. WOUTERS]. “The EU’s commitment to effective multilateralism in the field of security: theory and practice”, in P. EECKHOUT and T. TRIMIDAS (eds. ), Yearbook of European Law 2010, Vol. 29, Oxford, Clarendon, 2011, 164-189 [with J. WOUTERS and S. DE JONG].